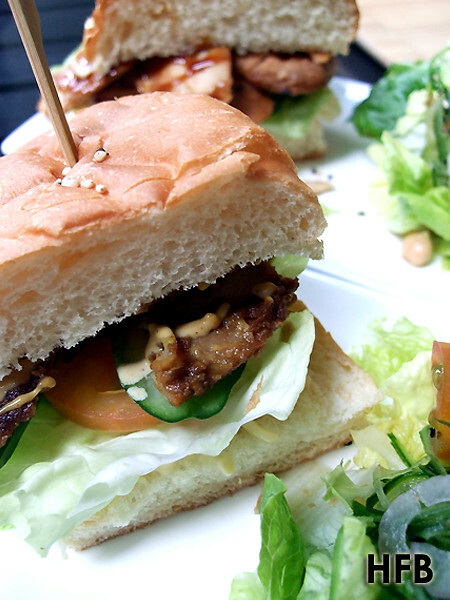 Office executives working in the heart of Central Business District (CBD) have a new lunch venue – Kohii, or ‘Coffee’ in Japanese, is a contemporary Tokyo café and sandwich bar. 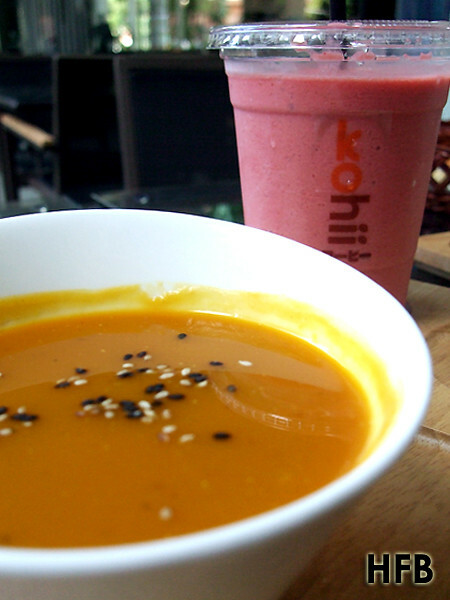 Located at One Shenton Way, a high-end residential development in CBD, Kohii offers healthy value-for-money deli delights with a touch of Japanese sensibility. HFB’s first impression when he set foot at Kohii was akin to him being transported to Tokyo downtown - the al fresco setup plus the servers dolled up in modern Japanese café-styled uniform. But what caught his eye most was the menu that came with Japanese wordings, which added more character to the whole branding. HFB LIKE! Tasting went in full swing with the much acclaimed Mixed Mushroom soup ($9.80) and Pumpkin soup ($7.50) as well as their signature smoothies – Ichigo Nana (Strawberry and Banana $6.30) and Ringo Cinnamon (Apple and Cinnamon $6.30). 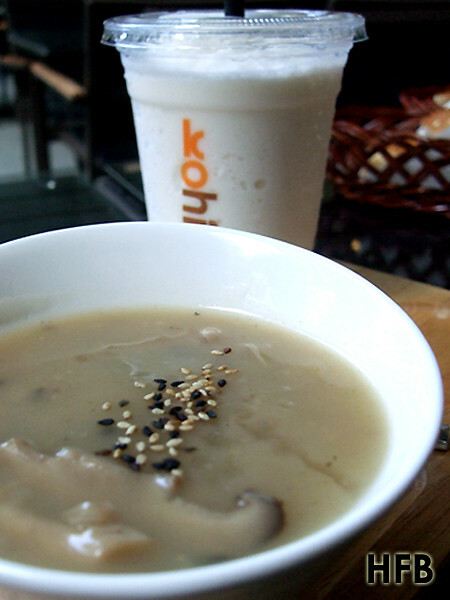 Unlike the traditional French-styled mushroom soup that came heavily laced with cream, Kohii’s version of mushroom came without and definitely tasted more homely. It was light on the palate with a very full mushroom flavour in a good way. HFB was told there were five different awesome types of mushroom within. It’s usually a love-hate relationship when it comes to pumpkin soup – either you love it or hate it. As for HFB, he is ok with pumpkin and he pretty much approved Kohii’s version that was again light in texture (no cream) and has natural sweetness from the pumpkin. As for the smoothies, he’s a bigger fan of the Ichigo Nana, named after the owner’s daughter, than the Ringo Cinnamon. You can also check out MangoMomo (Mango and Peach) that was named after the other daughter. 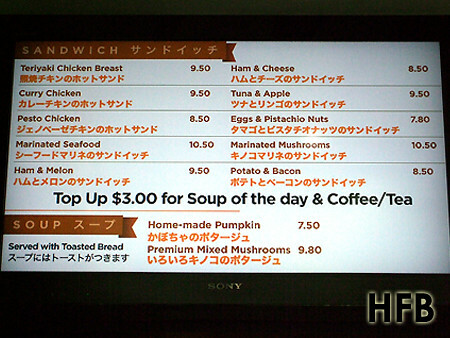 HFB was also introduced to Kohii’s trio of chicken sandwiches – the Teriyaki Chicken Breast ($9.50), the Curry Chicken ($9.50) and the Pesto Chicken ($8.50). Among all, he thought the curry chicken stood out the best - he was told all the chicken breasts were marinated with teriyaki sauce prior to grilling and drizzled with their various dressing and felt that the curry sauce really complemented brilliantly with the meat. Love it! However if he was to nitpick, he felt that the chicken breast were a tad dry for all trio – perhaps it was the cut of the meat, or maybe it was the cooking process. But if there was one compelling reason why HFB should be back at Kohii, it would be the star of the afternoon – the Assorted Seafood Salad ($10.50)! 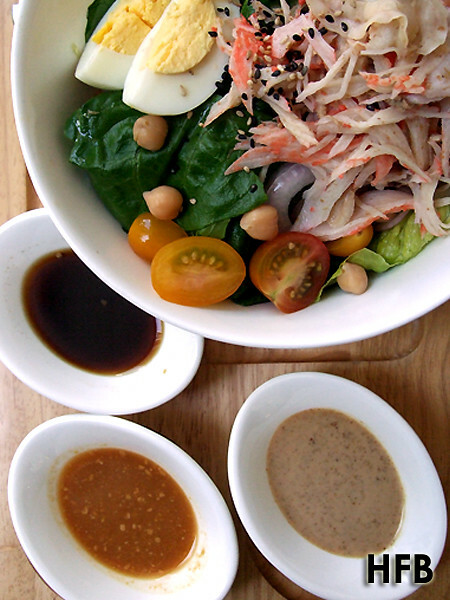 Salad with heaps of seafood – prawns, crabstick, octopus, and scallops – swimming merrily with choice of salad dressing – Soy Vinaigrette, Goma or Miso. HFB sampled all three dressing and each has its own merits - the soy has a nice savoury and tangy balance, the goma has a rich familiar flavour that would suit the masses, and the miso a unique salad dressing that even HFB thought was really interesting in a good way. With ingredients imported from Japan (they even uses UCC UESHIMA coffee from Japan), a nice ambience and atmosphere created, plus value-for-money deli offerings, what is there not to like about this place? Disclaimer: No ratings would be given, as this is an invited taste test. HFB would also like to take this opportunity to thank Yean and Kohii for their hospitality. I was deciding between Kohii and Jewel Coffee. Too bad I was attracted by the glitter of Jewel. I knew I should have opted for Kohii--it sounds awesome--but there were more people at Jewel. This is one instance where we shouldn't follow the crowd. Jewel Coffee is seem as a coffee joint... so the executives will hang out there for their coffee fix. 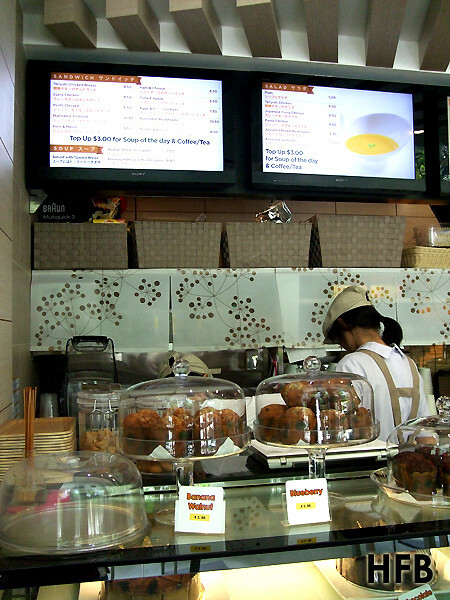 it is no secret that Jewel Coffee is better than Kohii. The working crowd like us don't like to waste our money on bad food and drinks so please don't insult our intelligence. When you mentioned 'better', in what way is it better? The food or the coffee, or both? Perhaps you would like to share it with others. And in your opinion why is Kohii food and drinks bad? Perhaps I could feedback to Kohii mgmt on your behalf. I guess making generic statement like yours without sustaining is rather unfair to Kohii and to their supporters. Oh and by the way, perhaps you should try leaving your comment with an identity next time, just saying. Actually I was referring to rubbisheatrubbishgrow's statement not yours haha and I don't have a profile. Just that I frequent Jewel and I think his statement wasn't fair when he did not try both sides. The lovely people in Jewel do a great job with their coffee and food, you might want to try it when you have the chance. 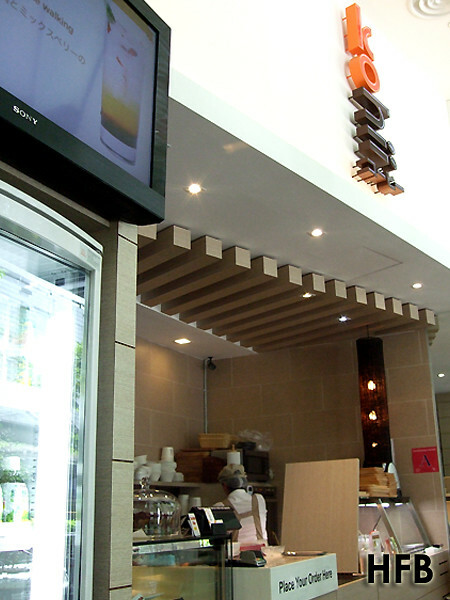 As per HFB has mentioned, we at KOHII would like to hear your feedback. No feedback in our opinion is negative and we always look to improve our standards in all aspects. Rubbiseatrubbishgrow has already indicated that he was always attracted to the glitter of our neighbours. It goes to show he has been there. End of the day, we do not endorse in feedback given to other businesses but focus on how we can improve ourselves to serve better. Maybe you can drop by our outlet and look for Yean or Adelyn for us to sit you down with a free meal and get your valuable and constructive feedback.Thank you!